What is the most important characteristic that a person can have to succeed? Home Writing	What is the most important characteristic that a person can have to succeed? 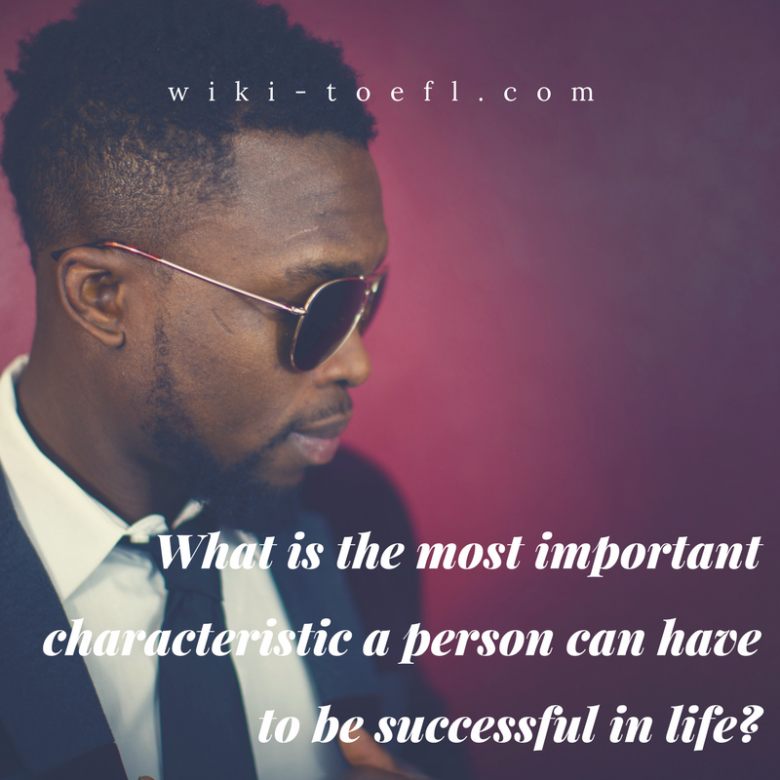 In your opinion, what is the most important characteristic (for example, honesty, intelligence, a sense of humor) that a person can have to successful in life? Although honesty, intelligence, and a sense of humor are all worthwhile characteristics, I feel the most important one in life to have is sensitivity. A sensitive person is aware of him/herself and the way their actions affect others. A sensitive person knows the place of honesty, intelligence, and a sense of humor. Do you think children should spend their time playing or studying? Do you think that higher education should be available only to good students? Toefl writing: What transport do you choose to travel away from your home? Honesty is not always the best policy. There is such a thing as a white lie. You don’t want to insult someone by saying that their new dress doesn’t fit properly or that you wouldn’t live in their new house if they paid you. You must be sensitive to when it is necessary to tell the truth and when it is better to tell a white lie. Intelligence is a wonderful thing to have, but not all intelligent people use their intelligence sensitively. You don’t want to show off and make others feel stupid. You must be sensitive to the reactions of the people around you. It might be appropriate for you to admit that you have the right answer, but in some cases, you might have to say, “I think this is the answer, but we might want to check it.” A sensitive person would not make someone else look dumb. A sense of humor is always valued. Different people, however, laugh at different things. You don’t want to make someone feel uncomfortable by laughing at his /her mistakes. A sensitive person would understand whether a person could be teased or whether a person would appreciate a certain joke. A sensitive person would make everyone feel comfortable. A sensitive person understands that people are different and that the values of honesty, intelligence and humor can be applied differently.